Fueling Technology Advancing the Trucking Industry | WEX Inc. Even though labor costs have recently ascended to the number on expense in the trucking industry due in a large part to the driver shortage, there is still cause for concern over the cost of fuel and fuel efficiencies. While advances in fueling technology are addressing a lot, fuel consumption and fuel management is being handled in roughly the same way it has been for decades. The industry is forced to find ways of running more efficiently even with the current standards in place, those standards including speed on the roadways and idling at a stop. The American Trucking Association (ATA) suggests that the best way to reduce fuel consumption is to reduce speed. However, speed is not always something a driver can control, which is why the ATA has lobbied for a nation speed limit not to exceed 65 mph. Vehicle idling is also a cause for concern and a huge contributor to fuel inefficiencies. Discretionary idling presents challenges considering that the reasonable factors include, power for in-cab appliances, heat and air conditioning when a driver is at a stop as well as maintaining the engine’s temperature in cold weather. Discretionary idling could account for an estimated 1.1 billion gallons of diesel fuel every year. Non-discretionary idling due to congested traffic can be just as bad. Both of these problems can be addressed by either infrastructure changes and technology. The ATA is working toward solutions that address the issues through highway improvement projects, new fueling technology as well as innovations that can deliver ways to mitigate discretionary idling. 1. Initiatives to advocate for highway infrastructure improvement and reduced congestion: A recommended a 20-year program, focused initially on fixing critical bottlenecks, and in the longer term creating truck-only corridors which would permit carriers to further increase the use of more productive vehicles. 2. 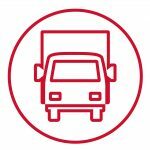 Reduce the number of trucks on the road: Research shows that increased volumes of freight can be moved with less fuel and fewer emissions by using a smaller number of large trucks rather than a larger number of small trucks. Permitting truck combinations to be more productive will help reduce the number of trucks needed on the road and reduce fuel consumption. 3. Fuel Economy Standards: ATA also supports setting technologically feasible national fuel economy standards for medium and heavy-duty trucks that reduce fuel consumption, if they do not compromise the performance of the vehicles. 4. Engineering Innovations: Aside from national policy issues, there are steps trucking operators can take now to improve average fuel consumption through a range of engineering innovations, driving techniques, investment in the latest engines on the market, aerodynamic features, and lightweight design options. 5. U.S. Environmental Protection Agency: EPA SmartWay is an innovative collaboration between EPA and the freight industry to increase energy efficiency and significantly reduce greenhouse gases and air pollution. The SmartWay program includes representatives across the freight industry — shippers, truckers, rail carriers, even dealer service centers and truck stops. A Canadian study estimates that fleets could achieve a 10% fuel economy improvement through driver training and monitoring. For a typical combination truck, a 10% saving is the equivalent of nearly $2,500 a year. A study for the European Commission estimates that incorporating an annual one-day driver training course into a trucking operation will improve truck fuel efficiency by 5%. Two trucking fleets in Canada documented the impact of driver training and found fuel efficiency improvements of 18 and 20%. Beyond systems and behavior in addressing fuel efficiencies, companies like EFS have adapted innovative ways to address managing the fuel spend. While tangible solution like fuel cards can put more control in the hands of fleet managers, data analytics goes even further. Valuable information through data/analytics provides a way to garner greater transparency and visibility into purchasing and volume performance. The EFS fuel audit programs can help to validate and audit the fuel spend while improving driver behavior. The EFS Carrier TrendSource™ was built to show how capacity is performing in the markets and benchmark volume against peer groups. Each program helping to manage efficiencies for the carrier and utilize technologies in ways that benefit the industry overall. Clearly there is an abundance of challenges when it comes to fueling technologies and fueling efficiencies. However, the industry can be confident that there is an equal abundance of solutions to help put them into context and benefit from the outcome.